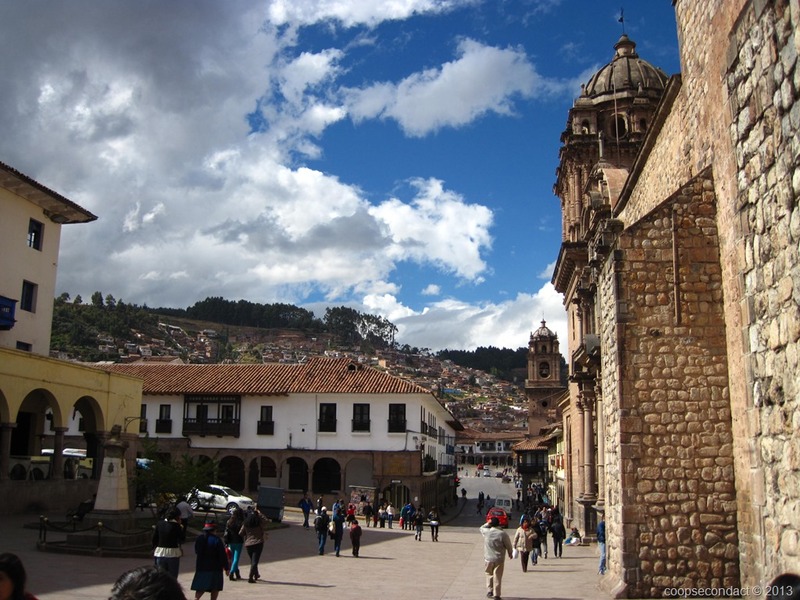 In Southeastern Peru, all roads lead to and from Cusco. 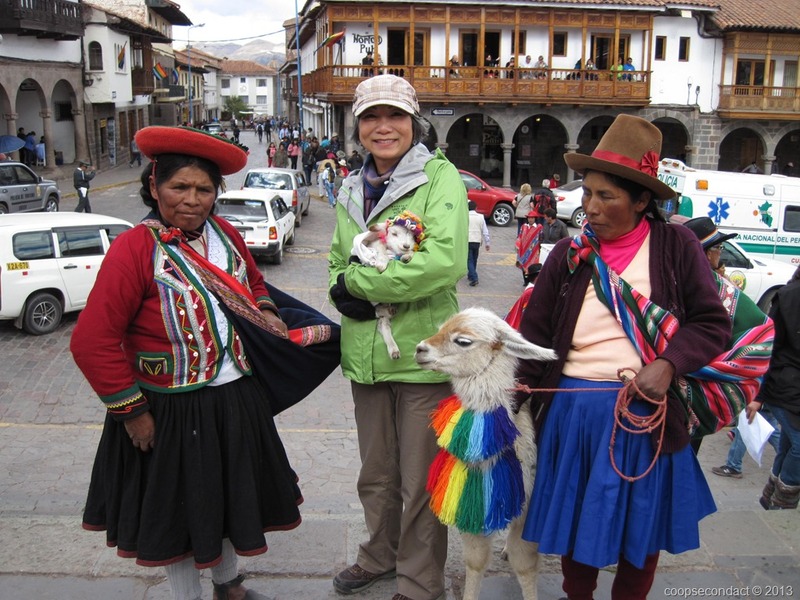 We first arrived here on June 7, 2013, then took our 3 night trip to Machu Picchu and Aguas Calientes, then back to Cusco for one night before going on the Puerto Maldonado and the jungle for 3 nights before returning again to Cusco for 3 more nights. 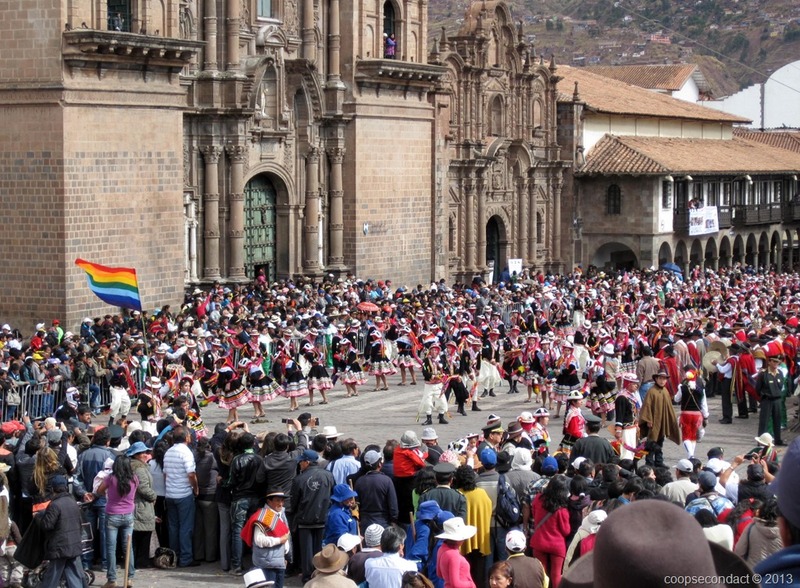 We were fortunate to be in Cusco during the period leading up to their most important festival of the year, Inti Raymi, the festival of the sun. In ancient times, the ceremonies took place during the winter solstice when the days had the least period of daylight. The purpose was to honor the Sun god and implore him to return. In modern times, the celebrations begin some 10 days prior to the main ceremony on June 24th. 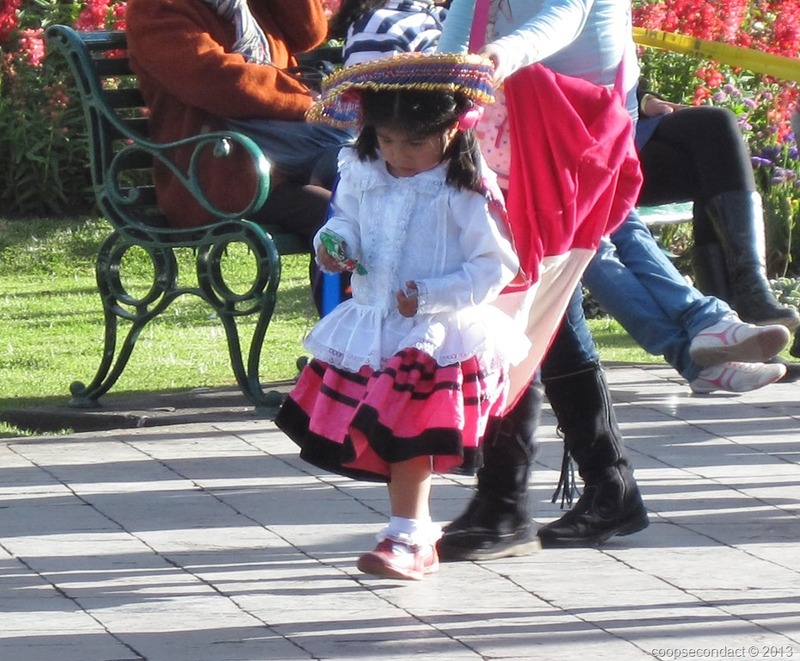 Each day there are groups from all over Peru that come to perform folk dances and play music. Part of this is done in a parade that takes place around the main square. Following the parade the groups gather in some of the open squares to eat, drink and perhaps play more music. The costumes are very colorful and varied and can be very intricate. 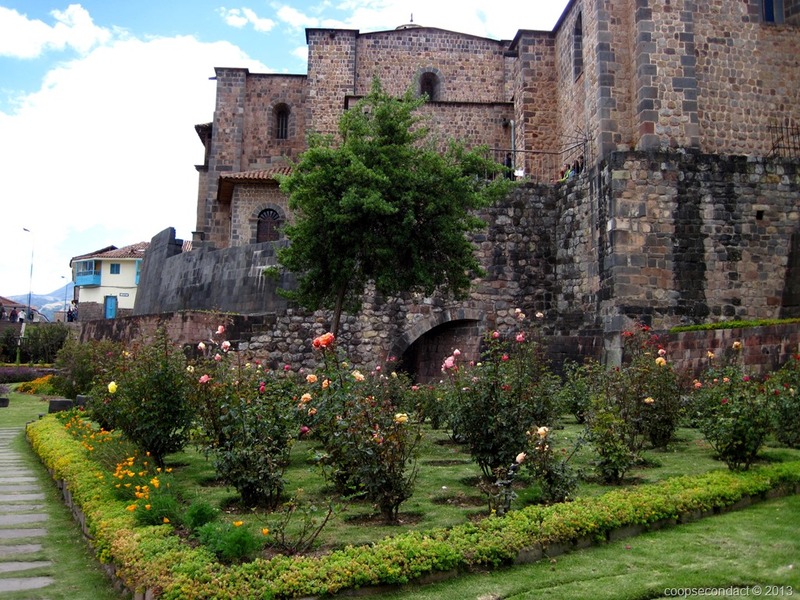 This all culminates on June 24 with a ceremony that lasts for many hours and concludes at one of the important Inca sites that towers over Cusco, Sacsaywamán, the Inca temple-fortress. This time we did get the opportunity to visit some of the important sites around Cusco like Qorikancha, the Inca temple and Sacsaywamán. When we leave Cusco this time we won’t be returning. We’re moving on to Puno which sits on the shore of Lake Titicaca, the highest navigable body of water in the world.